Easter eats are a Sunday treat. This year's roundup is a little beach-centric, and for good reason. Most shopping plazas are closed for the day, so it's the perfect reason to get out for some patio dining. Our list travels from Laguna to Anaheim and back, so select your destination, set your Waze app and go! Celebrating beachside lasts all day long at the Pacific Edge Hotel. Things start off on a sweet note with croissant and muffin baskets for the table. 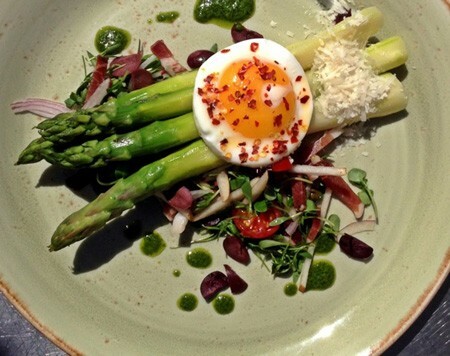 Grilled asparagus bundles (pictured) served with piquillo pepper sauce and pan-seared Northern halibut are just a couple of the options you'll be faced with this Sunday. Prices vary with their a la carte menu, but it will be available from 11 a.m. – 7:30 p.m. Located at 627 Sleepy Hollow Lane. (949) 494-6700. There's an Easter bunny sighting over at South Coast Plaza. Brunch includes a Weekend Fun Bar, where diners can mix up their own screwdrivers, mimosas, and bloody Mary's for $4 a pop. Breakfast enchiladas and spinach & wild mushroom omelets are a couple of the options, all for under $15. And yes, complimentary photos will be taken as the bunny makes their rounds in the dining room and patio. Starting at 11 a.m.. (714) 979-7469. 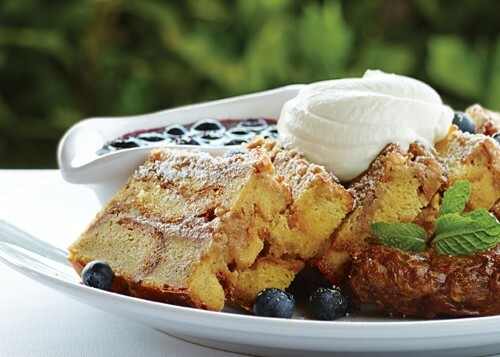 Our friends at the chic eatery inside Fashion Island will be serving a three-course, prix-fixe menu for $40 per person. Your singular dessert option is their chocolate cake with raspberry caramel and hazelnut crunch. 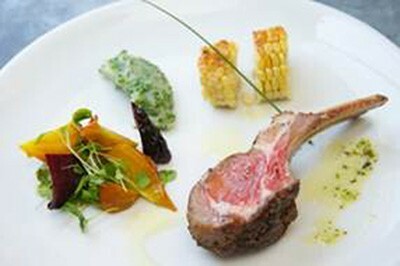 However, their mains include a roasted rack of lamb and Provence roasted chicken. 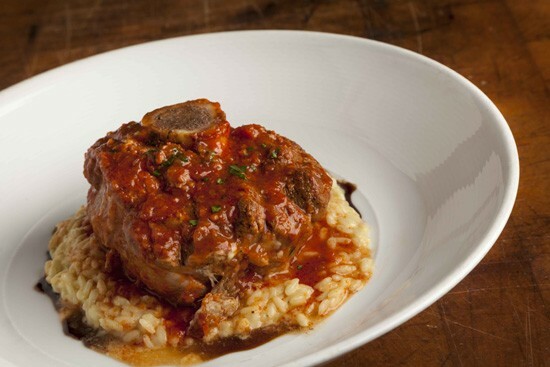 Served from 11 a.m. to 4 p.m. (212) 924-1200 for central reservations. 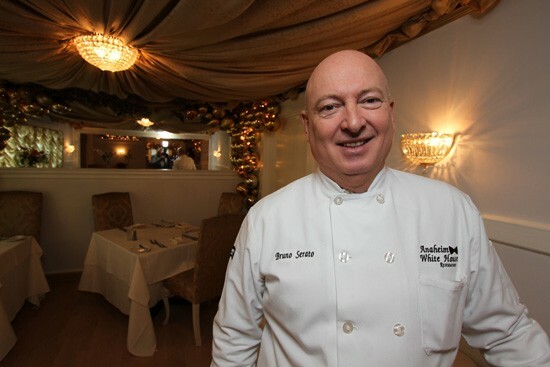 Bruno Serato plans to serve his Sunday brunch menu from opening to close in his historical mansion. 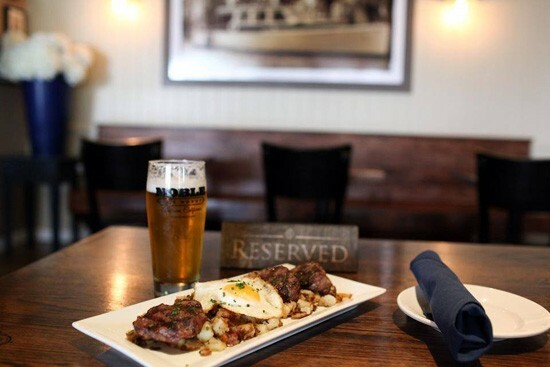 From gnocchi to tri-tip, the complete menu can be found at this link for $32.50 per person. From 11 a.m. to 10 p.m. (714) 772-1381. The team over in Quail Hill have got you covered with a good ol' fashioned buffet. Carving stations, dessert spread, and custom egg & omelet station are exactly the grub we associate with this time of the year. Be sure to get some pancakes and try some Diestel free-range turkey. For adults, brunch is $34.95 (add $5 for champagne); Children under the age of 12 will be priced by age, so $4 for a 4 year-old, $6 for six-year old, etc. 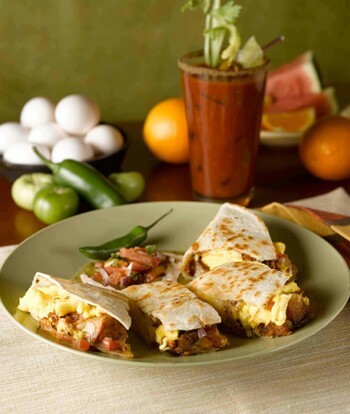 Served from 9:30 a.m. to 2:30 p.m. (949) 725-1773. What I like about Antonello's is that they've planned it as a Passover menu. Per owner Antonio Cagnolo, “This is one of the most revered holidays of the Jewish religion, and one that has a rich history observed by both Christian and Jews.” Your three-course meal begins with the choice of salad or matzo ball soup, then a lamb or duck dish. It's finished with a ricotta chocolate tart. Served from now to April 22, it's $39. (714) 751-7153. 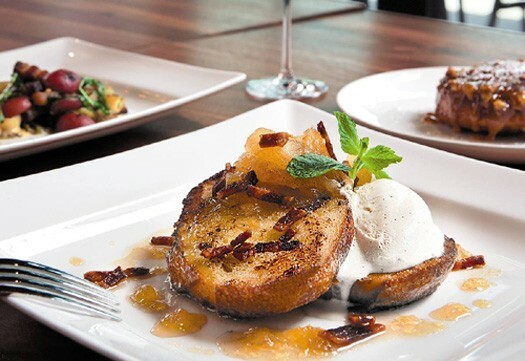 Chef Alexander Dale and his two-time Golden Foodie Award winning team know how to do Easter, with bottomless champagne bubbles as part of your three-course, $49.95 menu. Their deviled eggs finished with domestic caviar sound like an ideal appetizer, while grilled jumbo prawns & spring vegetable risotto remind us to schedule naptime afterwards. And for dessert, choose between strawberry buttercream cake, fruit tart or cinnamon beignets. From 10 a.m. to 3 p.m. (714) 536-5700. Their wine country-inspired brunch is a hit over the holidays, thanks to selections like a savory Benediction with filet mignon and a decadent walnut turtle pie. Bonus: When patrons dine that afternoon, they also receive a $25 gift card for a future visit. From 10 a.m. to 2 p.m. (949) 720-9633. At Surf & Sand Resort's fine dining spot, the magic number is $65 with lightly smoked sea scallops and petite filet & dungeness crab risotto, among other selections. 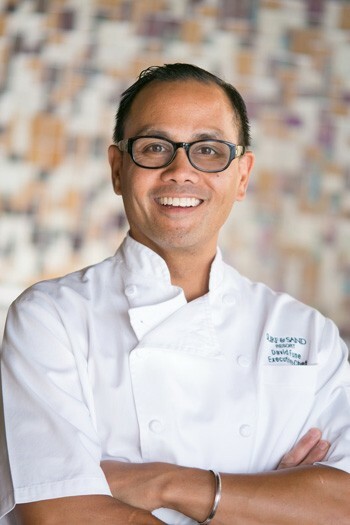 Executive Chef David Fune knows what resort guests are seeking with their picturesque ocean view. Served from 12 – 3 p.m. (949) 376-2779. It's no secret that I love brunch, and our date's favorite holiday is Easter. So we are going for broke with reservations at one of my Top 5 from 2012. 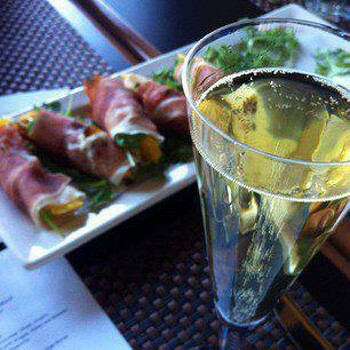 Their four-course, $65 meal also includes free-flowing sparkling rose. I'm eyeing the country fried Sonoma quail (served with gingerbread waffle) and a braised beef short rib enchilada. From 10 a.m. to 2 p.m. (714) 817-4200.